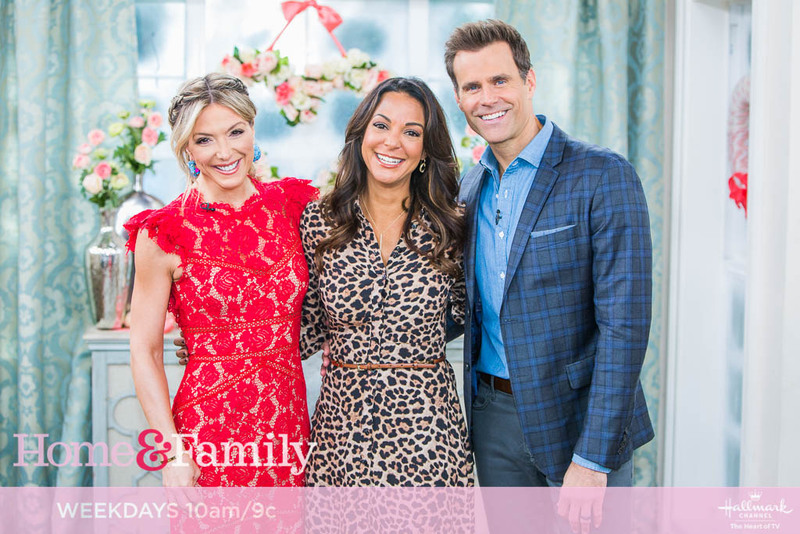 Debbie Matenopoulos and Cameron Mathison welcome the host of “Chicken Soup for the Soul’s Animal Tales,” actress Eva LaRue. From “Dating #NoFilter,” Nina Parker whips up turkey queso dip. “What’s Gaby Cooking” author, Gaby Dalkin prepares creamy risotto eggplant rollatini with parmesan. Beauty and lifestyle expert Ami Desai is here with Valentine’s hairstyles. “Be Fearless” author, Jean Case discusses how to create a life of fearlessness and purpose. Larissa Wohl shares the story of Mission Driven Goods founder, Scott Poore who finds homes for shelter dogs and improves their lives while they wait. Debbie makes fuzzy Valentine’s cake bites. Ken Wingard has DIY Cupid’s quiver and arrows. Lawrence Zarian is here with “Galentine’s Night In” fashions. 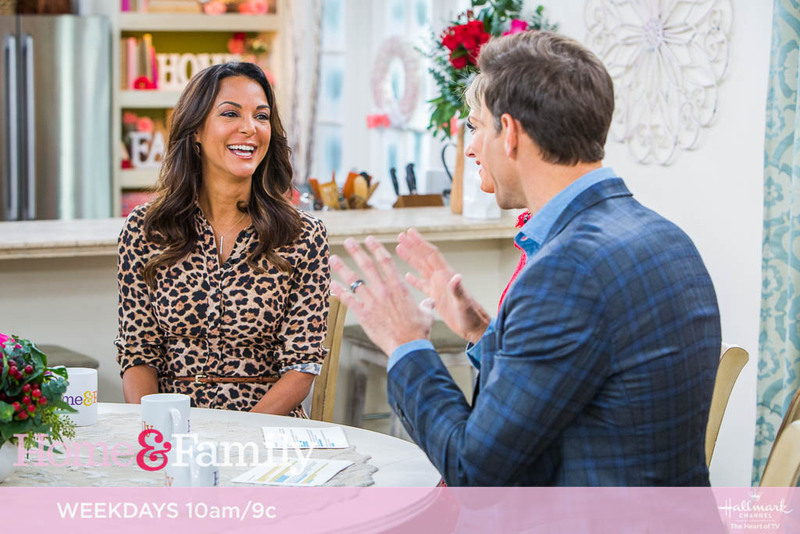 Paige Hemmis and Larissa team up for a DIY kitty corner. Credit: © 2019 Crown Media United States, LLC | Photo: jeremy lee/ Alexx Henry Studios, LLC.